The movie Hall Pass: trailer, clips, photos, soundtrack, news and much more! 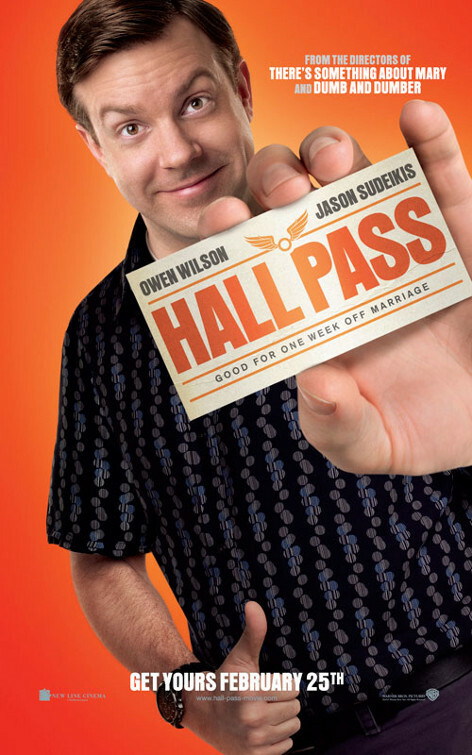 Hall Pass – I got a hall pass! This pass declares its bearer free from all marital obligation for one week. Want one? Have you ever had an extramarital affair? Don’t worry we won’t tell your wife or your husband. Rick (Owen Wilson) and Fred (Jason Sudeikis) are best friends who have a lot in common, including the fact that they have each been married for many years. 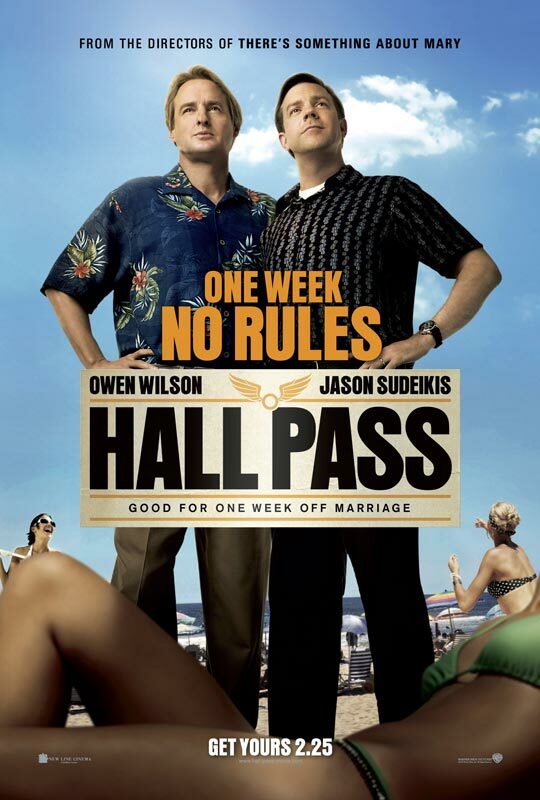 But when the two men begin to show signs of restlessness at home, their wives (Jenna Fischer, Christina Applegate) take a bold approach to revitalizing their individual marriages: granting them a “hall pass,” one week of freedom to do whatever they want…no questions asked. At first, it sounds like a dream come true for Rick and Fred. But it isn’t long before they discover that their expectations of the single life-and themselves-are completely, and hilariously, out of sync with reality. 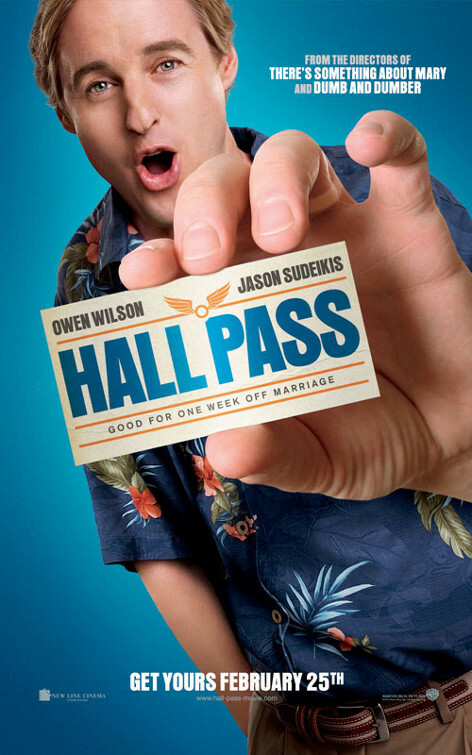 The comedy movie Hall Pass is starring Owen Wilson, Jenna Fischer, Jason Sudeikis, and Amanda Bynes. 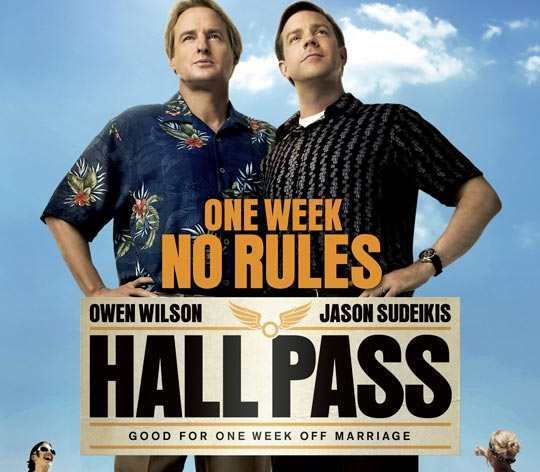 Hall Pass: one week, no rules! Good for one week off marriage. The film is starring Owen Wilson, Jenna Fischer, Jason Sudeikis, and Amanda Bynes. The movie Hall Pass will be released on February 25, 2011.